After the success of her Totsdance classes last year, I had been looking for a ballet school nearby, and when I came across Twinkletoes Ballet (who don't have a website but can be found on Twitter here) I just knew it would be perfect for her. She LOVES it. Since her first class last week, she has been impressing us all with her 'good toes, naughty toes' routine and showing everyone her passes and plies. It is amazing to watch. 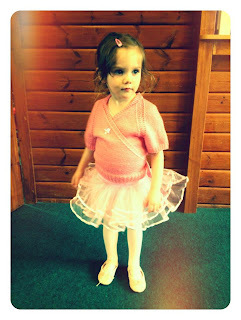 I'm not going to blog about the classes until the end of term but I had to share a picture with you all of my little ballerina in all her finery. 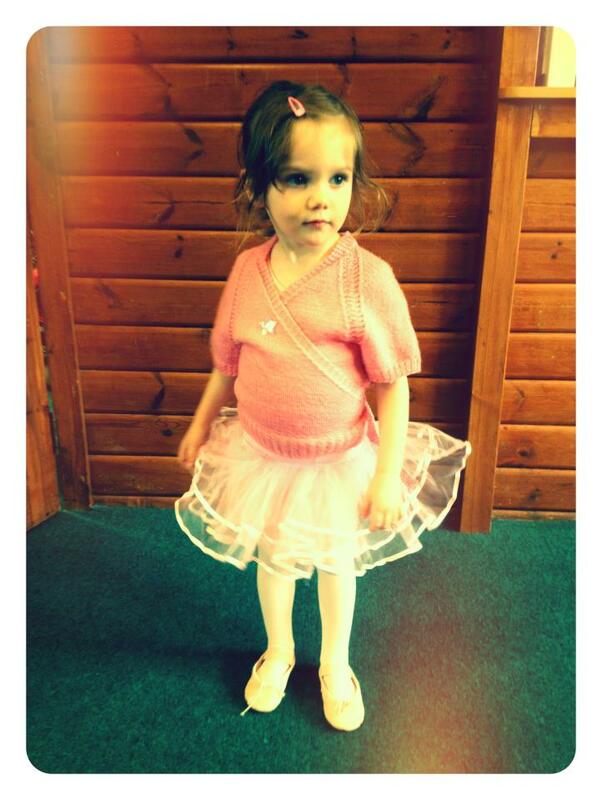 She is even wearing the cardigan that my Nana knitted me when I started ballet aged 3. I actually cried (!!!!) watching her in class today. I contemplated walking out before the other mums caught me (hormones...... ahem). But I managed to man up and I'm glad I did because if I had I would have missed her doing an arabesque which was C U T E.
PS If any local mamas have any recommendations for other weekly classes, please get in touch. 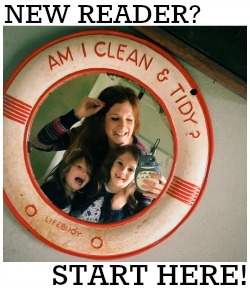 New Month, New Style Modern Mummy!